On Feb. 3 I posted this on Rooflines, the blog of the National Housing Institute (also attached below). This is related to an earlier post in which I argued that our discussion of the causes of Detroit’s bankruptcy was hopelessly driven by ideology and common sense. 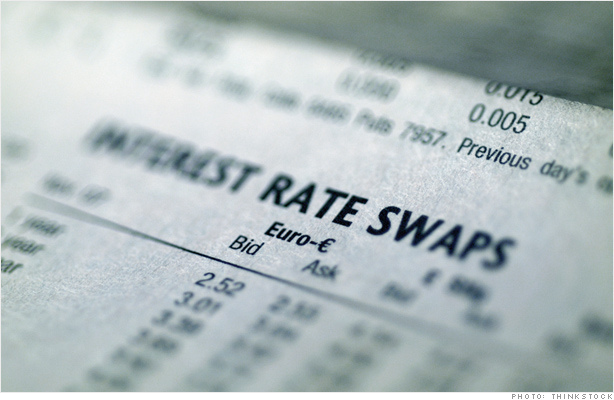 Prompted by the city’s lawsuit to invalidate swaps contracts it had entered into before the bankruptcy filed on Jan. 31, I dig a little deeper on the role of interest-rate swaps in municipal bankruptcy. On Friday, Detroit’s emergency manager, Kevyn Orr, filed a lawsuit on behalf of the city challenging the legitimacy of interest-rate swap contracts which were costing the city tens of millions of dollars per year. Swaps contracts come in many forms and can serve a variety of legitimate purposes. We normally associate these derivatives with the private sector and especially banking activity. This is misleading. They are sold widely and in a number of arenas. They are not an especially large part of urban fiscal policy. However, they are a factor in the bankruptcies of Jefferson County, Alabama (where Birmingham is located) and Stockton, California, as well as Detroit. In an extensive analysis published last year, the Detroit Free Press noted that the swaps contracts were a direct cause of the bankruptcy. This contradicts almost all of the discussion of Detroit’s fiscal crisis. Instead, the city’s demographics, its unions, its crime, or its loss of manufacturing are predictably blamed. These are usually cited as causes despite the fact that many cities share these characteristics and are not bankrupt. This is not to say that the city did not face fiscal challenges or that it dealt with them appropriately. But getting to an $18 billion bankruptcy in a city with a legislated debt limit takes some finesse. The finesse was provided by Wall Street. Kwame Kilpatrick, the city’s former mayor, purchased the contracts in order to get a cash infusion which prevented the layoff of 2,000 city workers. Importantly, because the swaps were not considered debt, they also enabled the city to circumvent the city’s debt limit of 10 percent of assessed property value. The contracts enabled the city’s mayor to act despite a lack of cash and borrowing authority. They also amounted to a bet that interest rates would rise. The city stood to make lots of money if they did. But the foreclosure crisis made a mockery of the city’s ability to foresee interest rate movements. The Federal Reserve has kept interest rates at historic lows since 2008, blowing a giant and recurrent hole in Detroit’s finances. It is now clear that a swap contract is leverage just as much as a bond is and should have been counted against the city’s debt limit. Blaming public sector unions or pensions for bankruptcies like Detroit’s is the same as blaming homeowners for the financial meltdown. The decisions were made by elected officials and Wall Street banks, yet neither is on the hook for the costs of those choices. Detroit would have been in crisis without the swaps contracts. But the crisis would not have required the same massive cuts to public services and pensions or the sale of valued public assets. In Detroit, the bankruptcy mess is actually yielding a reason for optimism. Orr has worked tirelessly for months to place blame for fiscal problems on the pensions themselves rather than on the swaps contracts that used them as collateral. However, in suing to get the contracts invalidated Orr has fallen into line with the position that AFSCME, the union which represents city employees, has had all along. The city’s suit argues that the contracts should be invalid because they illegally violated the city’s debt limits—an opinion that the judge in the bankruptcy case seems to share. The insurers of the contracts argue that they are clearly legally binding and have never been questioned in such a manner before. They are apparently untroubled that their success in court depends on convincing a bankruptcy judge that the money they are owed is not actually money they are owed. If Orr wins it will set an important precedent that will limit the temptation for both parties to use the contracts. The suit will not resolve the dilemmas that confront American cities. Only significant changes in policy and legal authority can do that. But making it harder for banks and politicians to use financial products to circumvent legal authority benefits everyone.